Too often, we see something of interest but then forget about it later. Sometimes, we create a bookmark but the content is no longer available. Don’t miss a moment – create an archive! While I do keep physical files – I print out the most important items because it’s easier to read on paper and it’s nice to have a collection – I also like to create digital folders that are labeled, organized, and easy to access. It’s kind of like my own private Pinterest or bookmark list, except I create a copy and store it into an online folder. With sites like Google Drive, Dropbox, and Evernote, it’s easier than ever. Every time I see something of interest, a press mention, etc. I save it as a .pdf, name the file, and place it into an appropriate folder. Then, it serves as my own music industry library, record of all the press I’ve received, or idea generator when I’m songwriting. I’ve also found this to be helpful with legal issues as well – it’s always good to have a good track record of organized files. While it’s good to save things are you come across them (or when someone sends you something interesting), it’s also a good idea to carve out regular sessions where you look for specific things to add to the cabinet. If you don’t have one, create a series of folders that you can use to capture information. You can use a cloud-based storage system (online), create something on your computer’s hard drive, or use a program that syncs the two together. I recommend using either Google Drive, Dropbox, or Evernote. All of them offer free, limited space profiles or a professional account with expanded capacity for a small monthly fee. Once you have that setup, I would also recommend setting up tags or folders in your email system that use the same labels. That way, it makes things much easier to find. You might also consider backing up your entire email account if there’s a lot of important information there. It’s important to spend some time setting things up right the first time around. It’s always easier if you begin well-organized than if you have to sort through hundreds of files. Spend some time finding content for your files. If you want to focus more on the music business, you could browse industry blogs or look for helpful files. 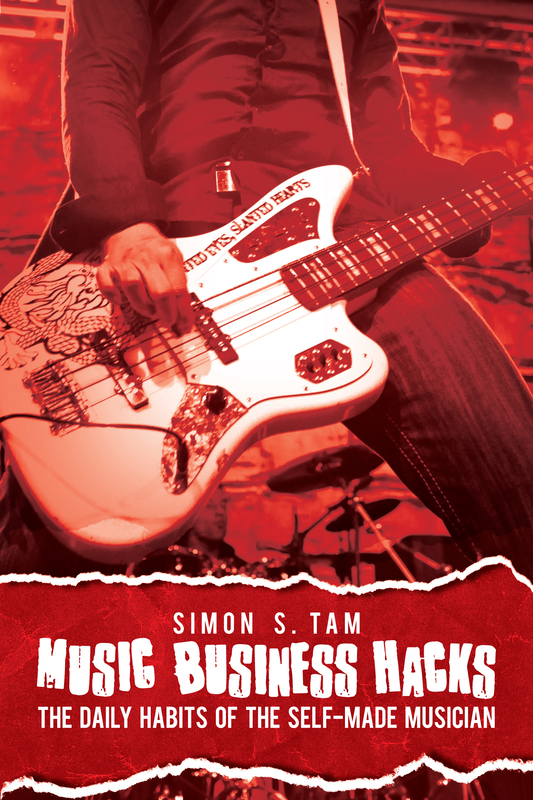 I also recommend looking for general tips outside of the music industry to get ideas for a more creative approach to managing a music career. For instance, look at articles aimed at small businesses, restaurant owners, event planners, photographers, or college outreach planners. If you’re feeling creative and want to work on song ideas/get inspiration, you can begin searching for content. For example, if you search for photographs or artwork using a keyword (on Google Images or Flickr), that might help provide some context for album artwork later on.